While the eyes of the world are on Myanmar’s northern Rakhine and Cox’s Bazar, more than 60,000 Rohingya children remain nearly forgotten, trapped in appalling camps in central Rakhine where the shelters teeter on stilts above garbage and excrement, says Unicef. “Partners have identified about 20 children separated from their families during the violence but estimate the total number to be at least 100 - most of whom are in parts of northern Rakhine state that they still cannot access,” Unicef spokesperson Marixie Mercado told journalists in Geneva during a briefing on her visit to Myanmar from December 6 through January 3, reports UNB. She painted a harrowing picture of the situation in Rakhine, noting that prior to August 25, when the most recent outbreak of violence occurred, Unicef had been treating 4,800 children suffering from severe acute malnutrition; these children are no longer receiving this life-saving treatment, according to UN News Centre. “All 12 of the outpatient therapeutic treatment centres run by our partners are closed because they were either looted, destroyed or staff can’t access them,” she underscored. Mercado called the inability of UN agencies to access vulnerable Rohingya children who remain in northern Myanmar ‘troubling’, saying that while ‘the eyes of the world’ are focused on the 655,000 refugees who have fled across the border into Bangladesh, 60,000 Rohingya children remain ‘almost forgotten’, trapped in squalid camps in central Rakhine. She stressed that Unicef stood ready to work with the Myanmar government and Rakhine state authorities to provide humanitarian relief to all children - regardless of ethnicity, religion, or status - but needed unlimited access. The spokesperson described two of the worst camps that she visited, in Pauktaw Township - reachable only by a four-to-five-hour boat ride. 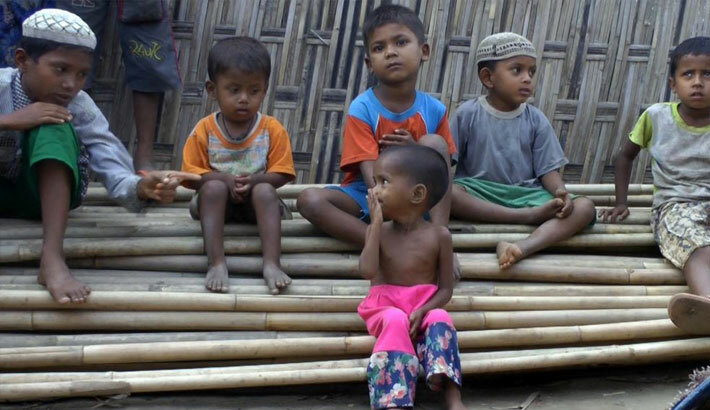 “Rohingya children need a political solution to the issue of legal identity and citizenship. In the interim, they need to be recognised first and foremost as children, she said, stressing that the Convention on the Rights of the Child guarantees rights to health, education and opportunities to learn and grow to all children, irrespective of their ethnicity or status or the circumstances in which they find themselves. Mercado said the Annan Commission [a report led by the former UN Secretary-General on the situation in Rakhine state] has provided a roadmap for a durable political solution so all children’s rights can be protected in a sustainable, open and fair manner in the longer term. “Unicef stands ready to support this crucial work. And we call on the global community, especially regional organisations and countries, to leverage their influence so children have better lives today and a future they can look forward to,” she said.